Vapor Pens are all the rage these days, but they can be awfully expensive. If you're prone to being forgetful or clumsy, this Vapor Pen lanyard will keep your loving chemical brother safe and snug around your neck. Even better, you won't have to dig through your pocket every time you want to use it. It doesn't have to be 5-ft. Measure the distance you want your Vapor Pen to hang from your neck and double that for the length of your paracord. Note: This step is optional. You can also tape the midsection to a table, have a friend hold it, or plain old-school-it by just letting it sit there. The nail makes the braiding process easier, but it's not necessary. It looks like a pretzel. MMmm….pretzels. There are a lot of loops here. Choose wisely, young Loopwalker. 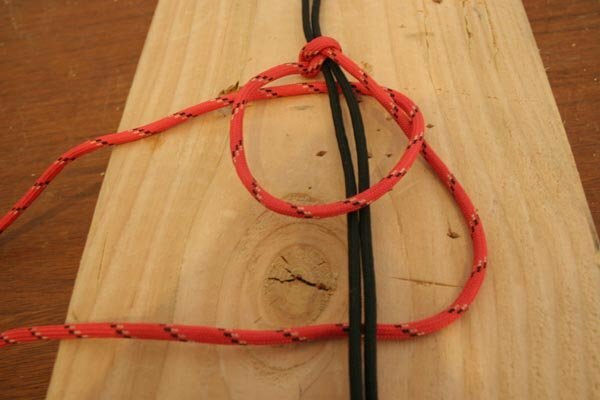 This is the only step that's different from the first knot. By the way, this is called a snake knot. Each knot is tied exactly the same. Continue tying knots until you've reached your desired length. We made 7 knots in ours. Tie as many knots as you want. The lighter keeps the ends from unraveling. Now that you have your Vapor Pen attached to your neck, you can puff on that bad boy all you want without having to dig through your pockets or worry about losing it. 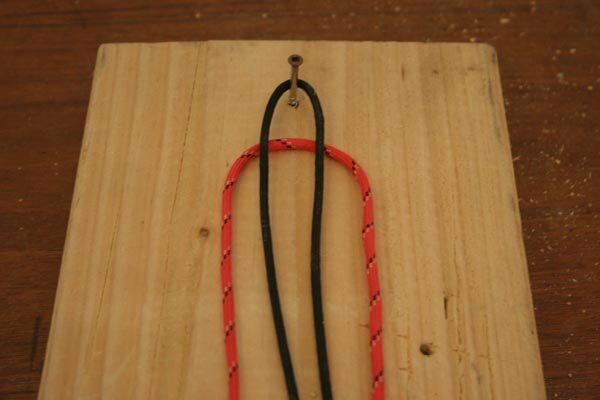 You can also use this paracord lanyard for holding other things! Like your keys. Or a hammer. Or your wife's purse. I think this is so cool. I have a vapor pin and I’m always losing it! I just can’t seem to get the hang of it though! If you could please help! Every time I try, it turns out completely wrong. I always seem to get the first knot fine, but not a single one after that! Lol I feel like I’m just missing some little thing I should be doing to make it work. So anyways, if you could help me out whenever! Thanks! !